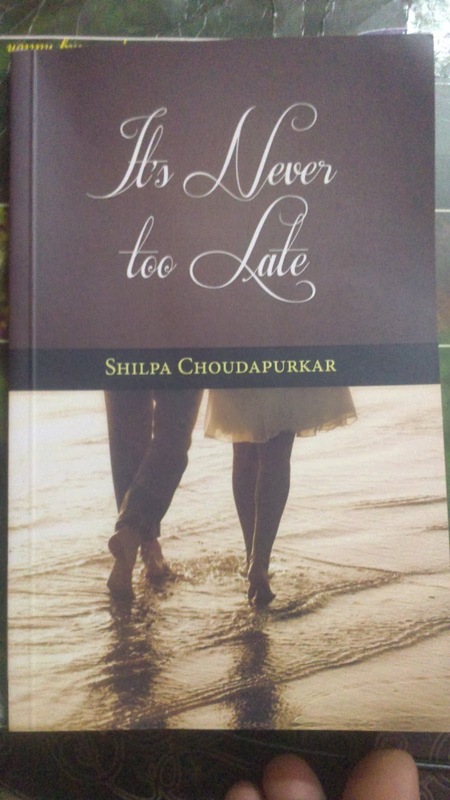 It's Never too late is a short fiction written by Shilpa Choudapukkar and published by Becomeshakespeare.com. This 115 page book is a story of two ladies, who are young, smart and successful in their respective careers. They are not big fans of the institution called marriage.The first one is forced into it by the family and it proves to be futile within an year, while the second one holds on longer. Will they get another chance? Will they change their mind and agree to enter wedlock when they find a perfect man? What goes through the mind of young women when their family behaves as if life is a total waste if they don't get married? Why should families panic if someone is 30 and still single? Do read the book to understand the perspectives. Apart from the core concept of romance, reading "It's never too late" will help you understand a bit about publication business, where the lead character works. Book is short and crisp. Has no unnecessary stuff filled in to make the book thick. You can finish it off in a few hours.